Witness's at Roberts wedding were Thomas Pulston and John Barker, they were married by licence. Robert is confirmed as the brother of Simon in Simon's Will where he is appointed a joint executor with Robert Fenn (son of Simon), George Goodwin and Theodore Banyard-Coates. Robert is mentioned in Land Tax assessments at the Ipswich PRO, for the district of Bosmere & Clayton, village of Hemingstone. 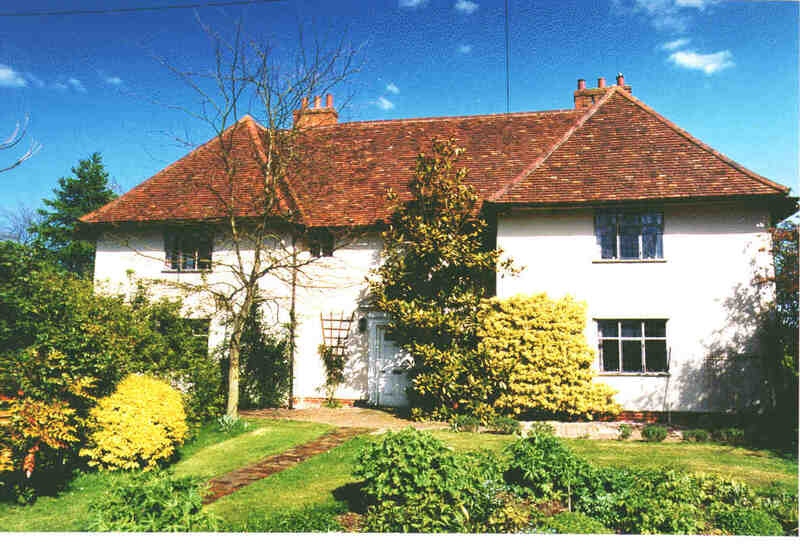 The farm is known as Old Hall Farm in modern times, Mr & Mrs Pyer reside in the farm house 2001. 1797 ref HA24/50/19/3.2 note in Longe's handwriting ? "Farm in Hemingstone, now in the possession of Robt Fenn - 1797." 1803 ref HB 16 29/40 Robert Fenn (proprietor & occupier) tax 8/- per annum. Robert Fenn (occupier) Longe (proprietor) tax L3-13-0. 1823 Robert Fenn (proprietor & occupier) tax 8/-. Robert Fenn (occupier) Longe (proprietor) tax L3-12-0. 1827 ref HB 16 290/10 Robert Fenn (proprietor & occupier) tax assessed at L8. January 1, 1798. Delightful fine day our tenants, S. Fenn, R Fenn, J. Brook and J. Bird with their wives dined here. April 16, 1798. Mr R Fenn paid half a year's rent L26 5s 0. April 24, 1798. Mr Wenn spent the day here when we settled with R Fenn and J. Brook concerning the leases of their respective farms. June 29, 1798. Rode to Robert Fenn's to give orders about his new barn floor. Document from the John Longe archive. I offered by note a lease of my Hemingstone farm to Richard Fenn my present tenant for 11 years to commence Oct 11, 1825. Mr Wenn breakfasted here and I desired him to draw up an agreement with former covenants for one year commencing Oct 11, 1825. Rent L119. Lists of Constables to repress disturbances in the County, (undated) named individuals. Sht.1. J Ward Chief Constable, Needham" Robt. FENN farmer of Hemingstone. HA24:50/19/4/4/6 Papers Relating to Local Defence Bosmere 1794 - 1830. 29th ult., Mr Robert Fenn, aged 86, many years farmer of Hemingstone; he was a kind affectionate parent, and an exemplary friend. Ref: the Ipswich Journal 14 January 1837. Suffolk Burial Search : Robert Fenn buried Coddenham 30 Dec 1836 aged 86, abode Barham. Churchyard monumental inscription transcript for Hemingstone reads: "Robert Fenn 26 Dec 1836 aged 86"
Hemingstone and Gosbeck were plague villages.